Professor of Aeronautical Engineering, Professor Chris Atkin, will lead the regulatory body for the UK engineering profession. Professor of Aeronautical Engineering, Professor Chris Atkin, has been elected as the next Engineering Council Chairman. He takes over as Chair at the end of the Council's AGM in June 2017. 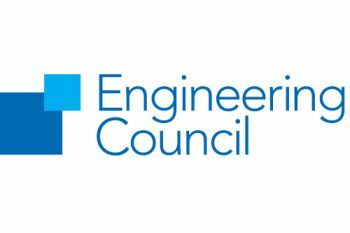 The Engineering Council is the UK's regulatory body for the engineering profession, which holds the national registers of 222,000 Engineering Technicians, Incorporated Engineers, Chartered Engineers and Information and Communications Technology Technicians. This is Professor Atkin’s second high profile appointment after being elected President of the Royal Aeronautical Society last year. Professor Atkin spoke to City News about his new appointment. City News: What does the Engineering Council do? Professor Chris Atkin: The Engineering Council is the UK regulatory body for the engineering profession. It holds the national register of Engineering Technicians (EngTech), Incorporated Engineers (IEng), Chartered Engineers (CEng) and Information and Communication Technology Technicians (ICTTech). It also sets and maintains the internationally recognised standards of competence and ethics that govern the award and retention of these titles. By this means it is able to ensure that employers, government and wider society – both at home and overseas – can have confidence in the skills and commitment of registrants. CN: What will be your immediate priorities as incoming chairman? PCA: The Engineering Council has a well-established process for setting its strategic goals in collaboration with the Professional Engineering Institutions (PEIs). One current issue is the need to be alert to the new initiatives for the formation and professional development of engineers, which may necessitate changes to the way the standards and/or supporting guidance are expressed. The Engineering Council also needs to ensure the continuing effectiveness of its unique governance structure: a balance of service to, and regulation of, the PEIs, which calls for flexibility and responsiveness. CN: Does your role include more awareness of the need for the professional registration of engineers and technicians? PCA: Yes, one of the long-term goals for the Engineering Council is the inclusion of all practicing engineers and technicians on our national register. We hope to build momentum around public attitudes to reliability, safety and sustainability. A Chartered Engineer (CEng) develops solutions to engineering problems using new or existing technologies, through innovation, creativity and change. A Chartered Engineer may have technical accountability for complex systems with significant levels of risk and is able to demonstrate: The theoretical knowledge to solve problems in new technologies and develop new analytical techniques; Successful application of the knowledge to deliver innovative products and services and/or take technical responsibility for complex engineering systems; Accountability for project, finance and personnel management and managing trade-offs between technical and socio-economic factors; Skill sets necessary to develop other technical staff, and; Effective interpersonal skills in communicating technical matters.